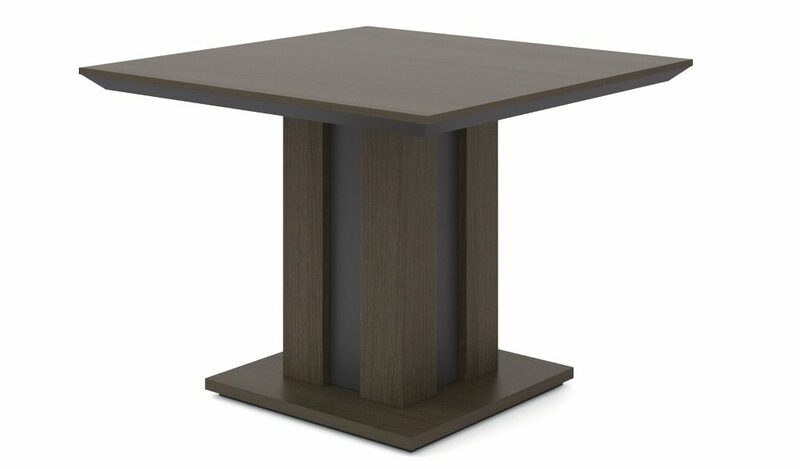 An 7 feet office table in walnut and solid gray laminate combination with side cabinet that includes a drawer with lock, two swivel doors, CPU space, aluminum alloy flip open wire box and inbuilt wire management system. Suitable for cabin size of 125 sft and more. 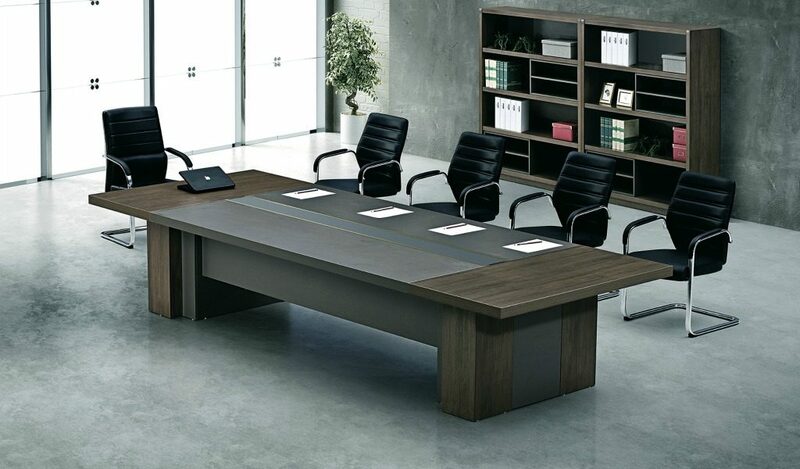 – This 7 feet office table looks best in its original King walnut and dark gray laminate as seen in the picture. – This desk is suitable for office cabins of 125 sq feet and more. – Office desk, side cabinet and wire box for managing your data and power cables. 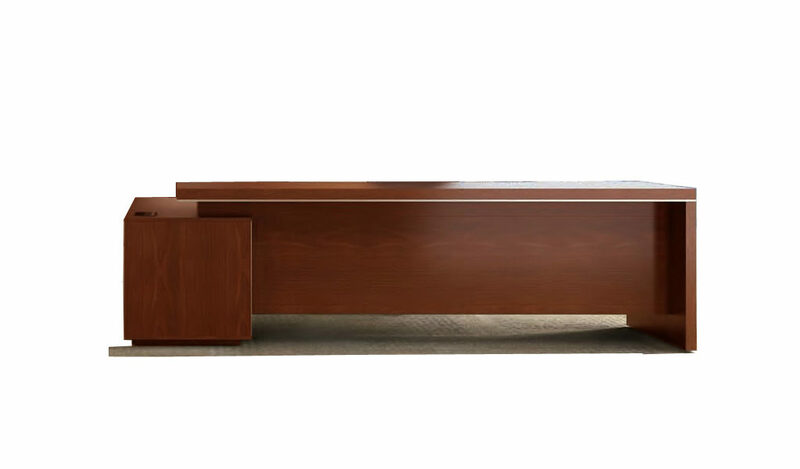 – Office desk in 7 feet width with side cabinet made in environment grade engineered wood and walnut laminate. 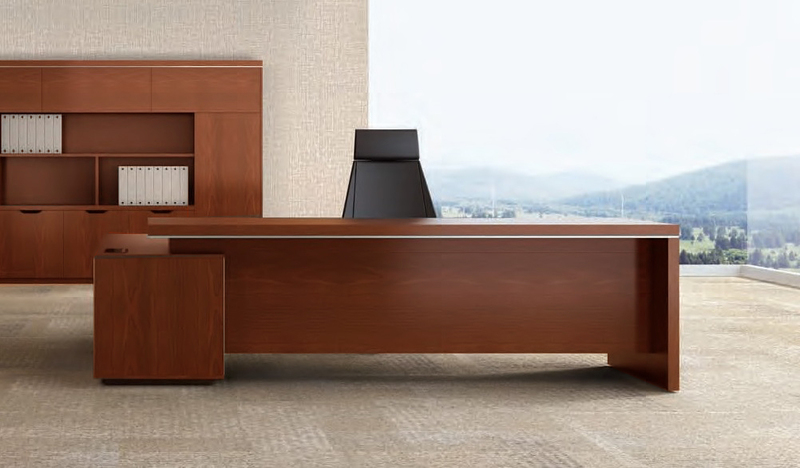 The E1 grade MDF is a highly durable material and a world standard for premium office furniture while the walnut laminate is from our carefully selected range of premium laminates with consistent color and grain structure. 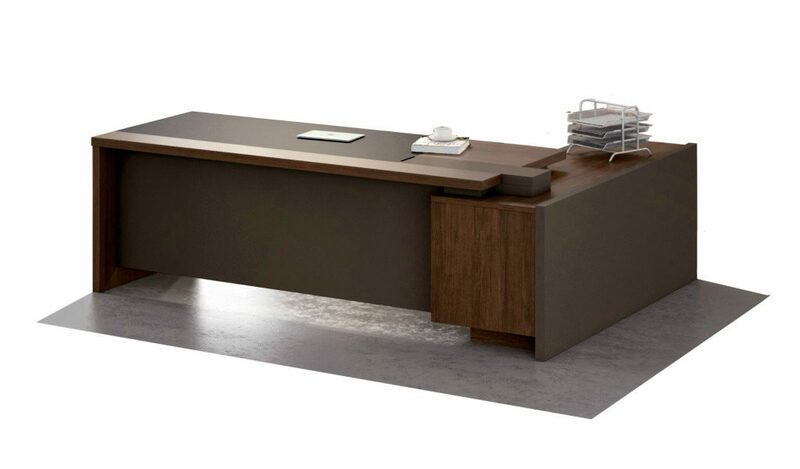 – A medium size, 7 feet width executive desk in rich walnut and solid gray laminate combination. 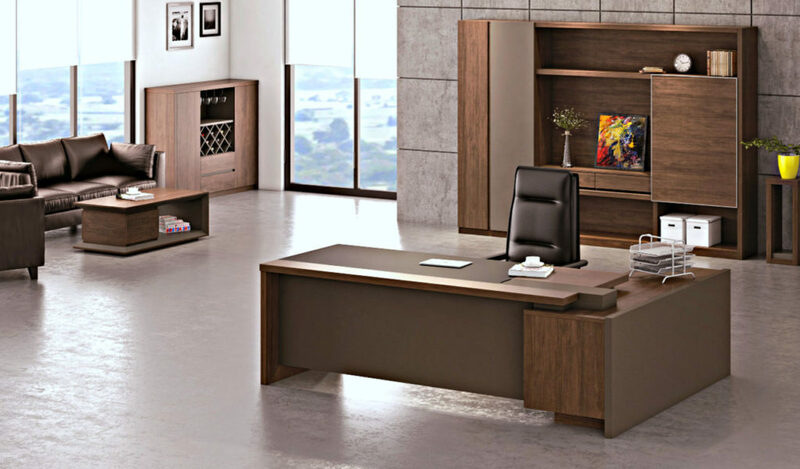 Its generous dimensions and dark wood finish makes it a perfect choice for an office cabin with contemporary interiors. 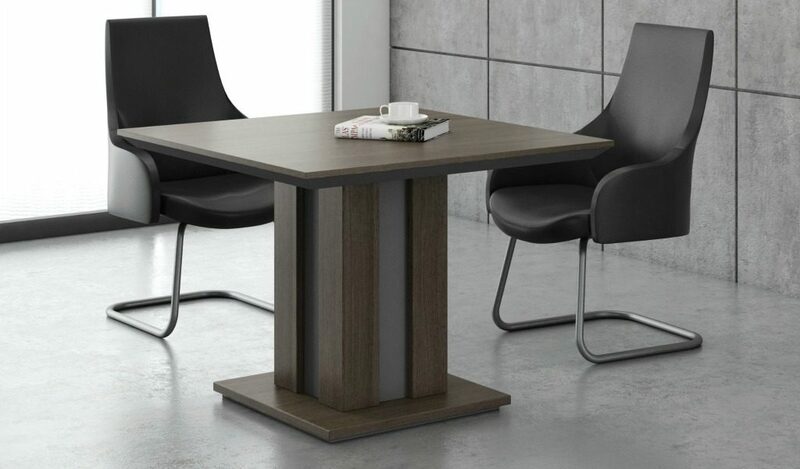 Also included with the table is inbuilt wire management provision with a concealed wire box for a clutter free work area. 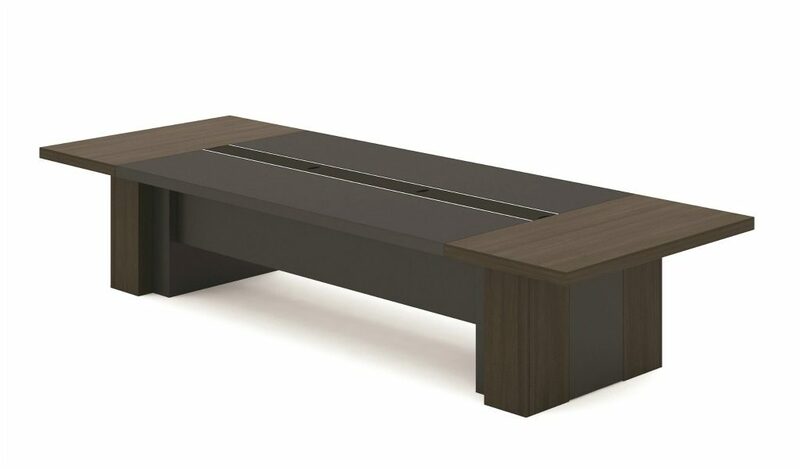 Built with top grade MDF and King walnut laminate for lasting durability, natural feel and luxurious looks. It is part of the Miro series from which you can choose an entire range of matching filing cabinets, smaller office tables, conference tables etc to create a complete office. Suitable for medium to large size cabins.